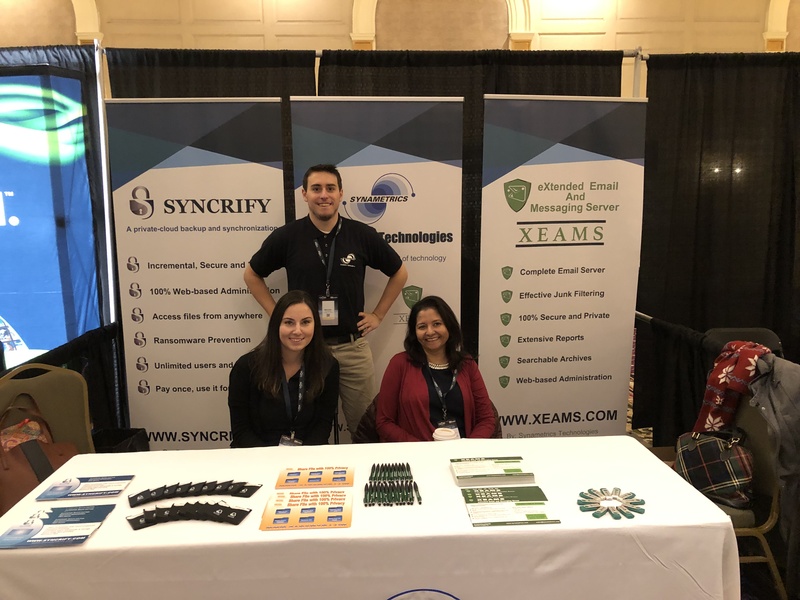 Earlier this week, Synametrics Technologies attended SYS-CON Media's 10th annual Cloud Expo at the Roosevelt Hotel in New York City. And it was a great success! Cloud Expo is an annual conference held in New York City which brings leaders from the Cloud, Dev Ops, and IOT industries together for 2 days of networking, learning, and sharing ideas. A complete mail server supporting SMTP, IMAP and POP3 with a powerful spam filtering system, end-to-end encryption, and a plethora of great features. A private cloud solution that is hosted on premise. With no 3rd party involvement your data is guaranteed to remain 100% private and secure. A remote file sharing FTP replacement tool. As with Syncrify, SynaMan is also an on premise solution that guarantees your data is shared privately and secure. 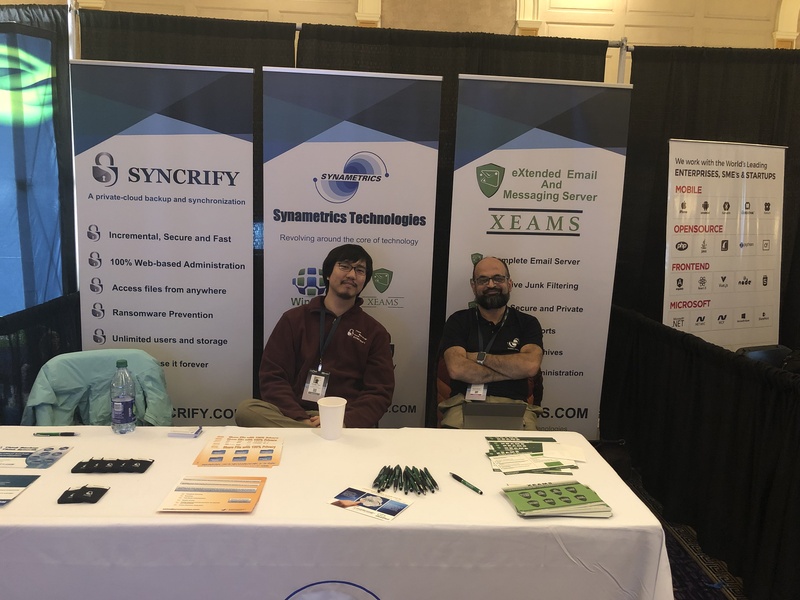 Attendees including representatives in from "The City of New York" received a demo of Xeams latest feature, End-to-End Encryption at Synametrics Technologies booth. They were sent an encrypted email from one of our team members, and were able to open the encrypted emails using the designated password right from their mobile devices with no additional plugins or software! 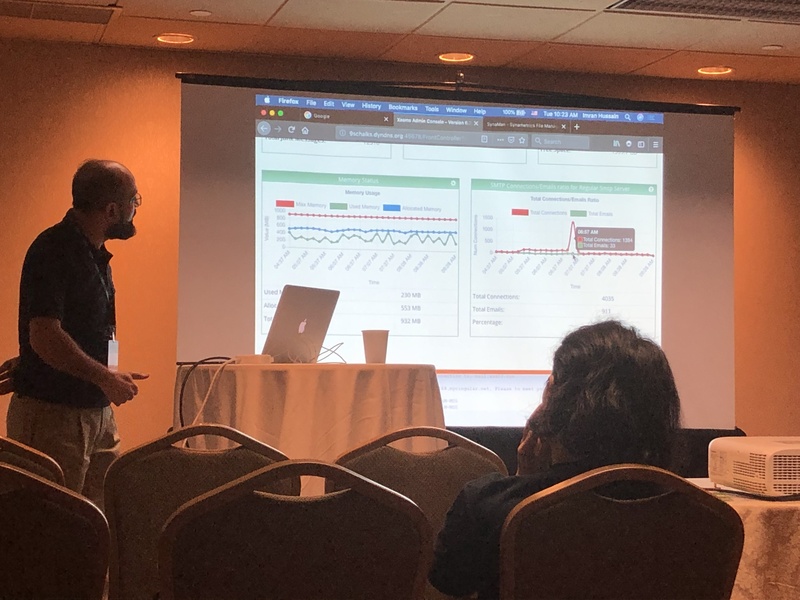 On the second day, our lead software technician, Imran Hussain, presented "What Hackers Are Looking for" during a breakout session. This session taught audience members ways hackers try and break into email servers, as well as tips and tricks users can utilize to better secure their servers and email accounts. 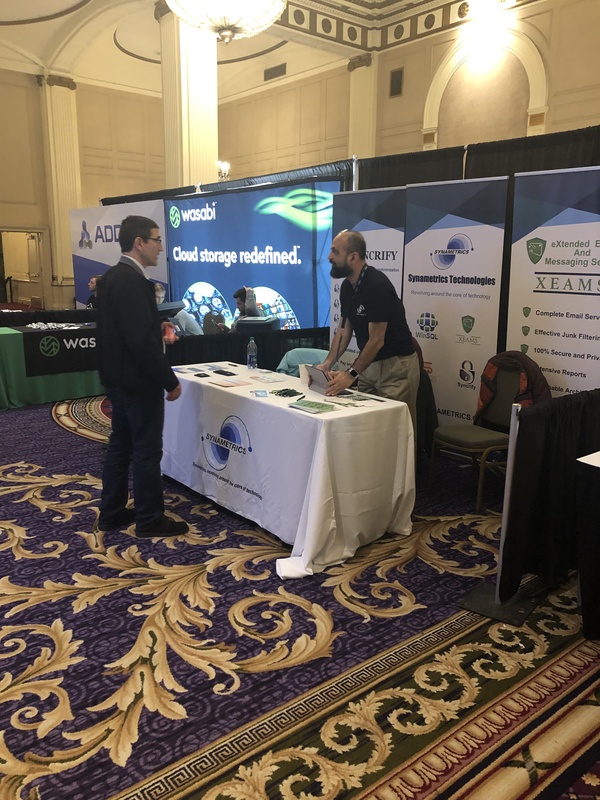 Our team had a great time attending Cloud Expo this year. We enjoyed providing demos of our products to all who stopped by our booth. Many great connections were made and our team learned valuable information from industry leaders. Thank you to everyone involved in making Cloud Expo happen this year!